Integrally Suppressed: The Shadowstrike incorporates helix baffles into its barrel design, making it quieter (but not silent) than the average slugthrower. When combined with subsonic ammunition, it is difficult to hear from a distance. Easily Manufactured: The Shadowstrike is designed to be easily manufactured through the extensive use of durasteel stampings and 3D-printed Permex. Not only does this make the Shadwostrike relatively cheap to produce for LPD, but it also makes it an attractive firearm to license for production elsewhere. 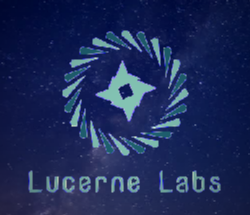 Several resistance groups have acquired the design schematics through either theft or covert corporate support, making it a relatively common weapon in the hands of lightside-oriented resistance groups. Adaptable: By using highly mature and basic slugthrower technology, the Shadowstrike is exceptionally adaptable. It can fire a wide variety of ammunition and host a wide variety of accessories to include silencers, muzzle attachments, sights, scopes, and bayonets. Heavy Hitting: The Shadowstrike packs a heavy punch that is based more on the mass of its projectile rather than its velocity, which provides it with good knock down power, which can make it deadly even to targets hiding behind light cover such as trees and hastily constructed barricades. Adaptable: The Shadowstrike is a highly adaptable weapon, capable of using a wide variety of ammunitions and accessories. This means that end-users can better adapt the weapon to their specific needs. Long Range: The Shadowstrike uses a full-power rifle cartridge, which gives it greater range than most blaster rifles and many other slugthrowers. This allows skilled users to effectively snipe opponents from range. Heavy: The Shadowstrike's large size combined with its strong internal durasteel construction makes the Shadowstrike a bulky and heavy weapon. It's not an ideal close-quarters weapon consequently, and many find it tiring to carry and use over long distances or during extended engagements. High Recoil: The Shadowstrike's focus on ease of construction leads to a particular unpleasant recoil impulse that is not only is hefty, but also tends to cause a persistent 'rocking' motion especially during back to back shots. Limited Ammunition: Like many other slugthrowers, the Shadowstrike only carries a relatively small amount of ammunition per time compared to many blaster weapons, meaning that it needs to be reloaded more frequently. Larger ammunition size also means that less of it can be physically carried by a soldier. This makes the Shadowstrike less far useful as a suppressive fire weapon than most blasters. While blasters have largely supplanted slugthrowers throughout the galaxy, there are some instances in which slugthrower weapons are preferable. This largely is due to environment factors, such as planets with unstable electrical fields or even the flora of Haruun Kal, but sometimes other factors such as cost and cultural-based proficiency come into play as well. 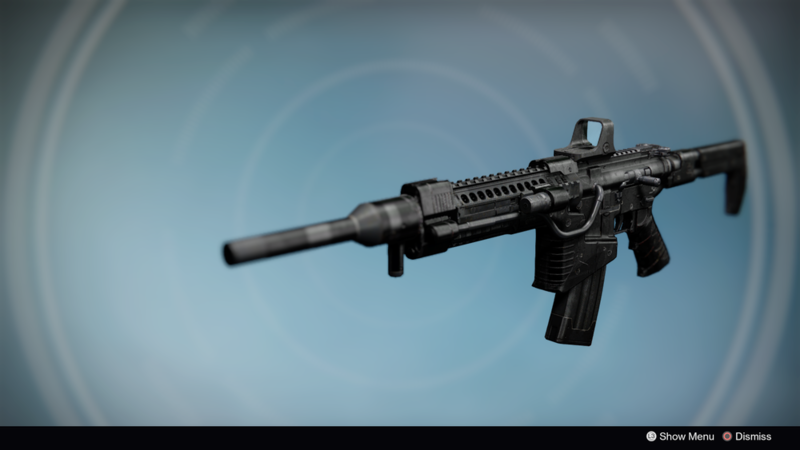 To supplement its Firebolt Blaster Rifle in this role, Lucerne Personal Defense drew up the Shadowstrike Battle Rifle. Designed initially as a medium range marksman rifle, the Shadowstrike uses a long-stroke gas piston with a seven lugged rotating bolt to fire full-power rifle rounds downrange. In its basic operation then, it is an unexceptional and typical slugthrower. Mostof the innovation of the Shadowstrike is actually in its production. By using extensive use of stamped durasteel parts, 3D printed Permex, and wire welding, the Shadowstrike is fairly easy and cheap to produce, even on backwater planets in small machine or mechanic shops. Additionally, To simplify ammunition production at the company's main plant, the Shadowstrike uses the same 12mm caliber as the company's Stormburst pistol, but uses a case that is almost three times longer to hold more propellant. It seems clear that while the Shadowstrike may not be an artisanal firearm, it clearly was designed with a mind for licensed production by small planetary defense forces and resistance forces behind enemy lines. Despite such a design focus on ease of production, the Shadowstrike is a capable enough weapon on the frontline. By using a relatively heavy bullet weight with a moderate amount of propellant, the Shadowstrike hits with a fair amount of momentum, making it well-suited to flying through mid to long ranges before plowing through light cover and concealment into targets. Combined with a typical rate of fire, skilled users typically have little difficulty in engaging enemies, though they can find themselves outmatched at shorter ranges by weapons that have higher rates of fire or less recoil, such as most blaster rifles. But Shadowstrike users have one advantage besides a longer range to keep the playing field level with their more modern blaster rifle counterparts: adaptability. Full Metal Jacket: A simple solid slog of lead or other dense material covered in a thin jacket of copper. This is probably the most common and cheapest ammunition available for the Shadowstrike. Hollow-Point: Another common variety, the hollow-point is designed to rapidly expand in diameter when it hits a target. While this makes it inefficient at penetrating through personal armor, it also ensures peak performance in unarmored targets with a very little chance of overpenetration. Explosive-Tipped: This is basically a hollow-point bullet whose internal cavity filled with detonite. When the bullet collides with the target or object, the kinetic impact detonates the detonite. Because of the shape of the metallic portion of this bullet, it actually acts as a micro-shaped charge, with the detonite being focused forward into the target. This ammunition, like its Galactic Civil War counterpart, is well-suited for penetrating through heavy body armors and many battle droids. Stun Bullet: This round consists of lightly-constructed plastic shell that contains bothan stun spores. Upon impact, the spores either enter the body or can be inhaled by the target. Depending on the target, the effect can range from mild nausea and vomiting to unconsciousness. Acid-Filled: At a glance, this appears to be a typical full metal jacket cartridge. However, the jacket of this round actually acts as a reservoir for Trifaraleen gas. If the bullet penetrates into the target, the gas will be released into the target itself to rapidly eat at tissue. Against impact against armor and other hard objects, the gas will rapidly corrode a portion of the impacted target before dissipating away. Ammunition suppliers have taken advantage that many Shadowstrikes have been sold to relatively small outfits, such as bounty hunters and private security forces, who frequently need specialty ammunition or want special hot-loaded rounds. Thus, it's not uncommon to hear of Shadowstrike users sporting exotic or specialty rounds. While officially silent on that matter due to local politics and legalities, LPD is known to turn a blind eye to such experimentations, even if the official policy voids the rifle's warranty. 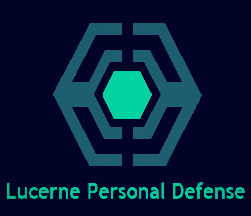 Given the Shadowstrike's versatility and ease of manufacture, it appears that it will remain in Lucerne Personal Defense's catalogue for some time.